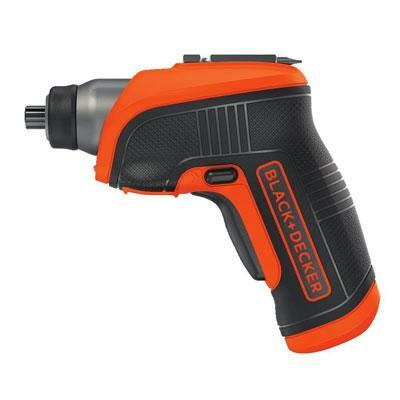 Black & Decker Cordless Screwdriver easily switches to manual screwdriving for more control. 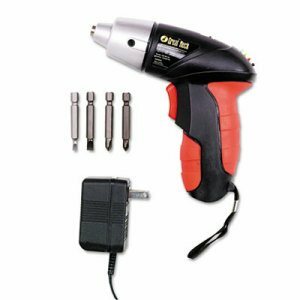 Easily switch from driving to removing screws with forward/reverse switch. It can be stored on pegboard using integrated peg hole. 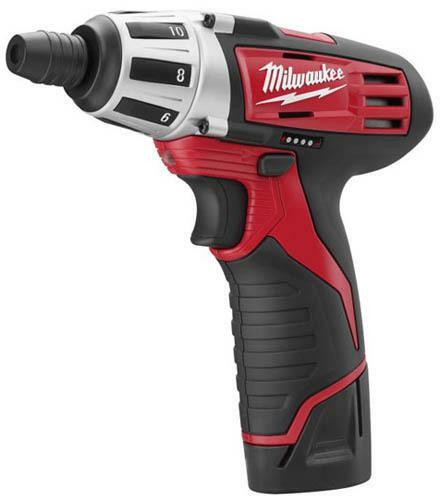 Comes with double-ended screwdriving bit (Phillips / Flat) and (4) AA Batteries. This item cannot be shipped to APO/FPO addresses. Please accept our apologies. 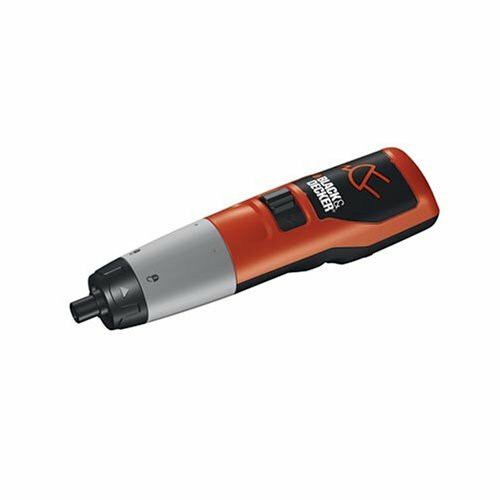 The Black & Decker BDCS30C 4 volt Max Lithium Cordless Rechargeable Screwdriver features a compact handle and a powerful 180 RPM motor for easy driving and removing of screws in tight spaces. Its inline trigger grip provides comfort and control when installing mini blinds hanging curtain rods assembling furniture and a variety of other household tasks. 180 RPMs and 35 in-lbs of torque provide plenty of power for a variety of applications and an LED light provides increased visibility in dark areas. This unit also features USB charging which allows for a charge rate up to 4 times greater than that of standard 100mA BLACK+DECKER chargers. Accepts any micro USB to USB charging cable (not included) and therefore can be charged from a variety of ports including a computer with a USB outlet. 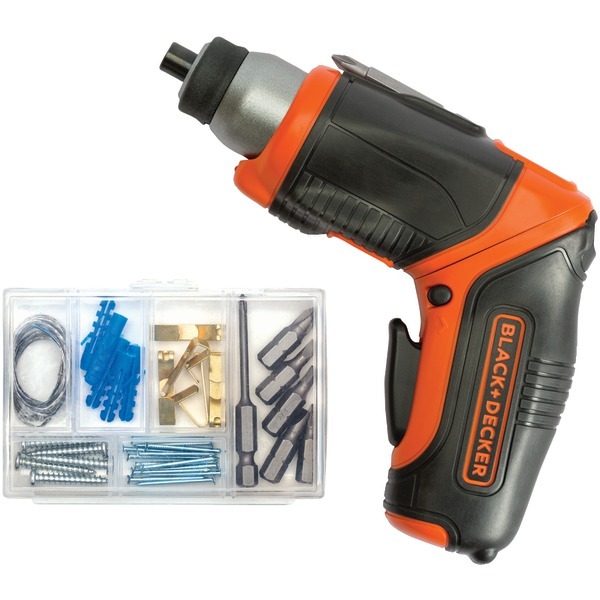 This unit is also attachment capable allowing for compatibility with all of Black & Decker's future attachments. Orange/Black. Set of 2. This item cannot be shipped to APO/FPO addresses. Please accept our apologies. 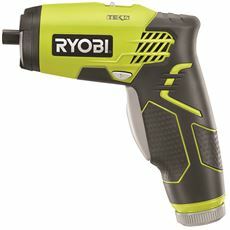 Cordless power screwdriver features an LED light to illuminate your work and gets the job done quickly with 200 RPM. 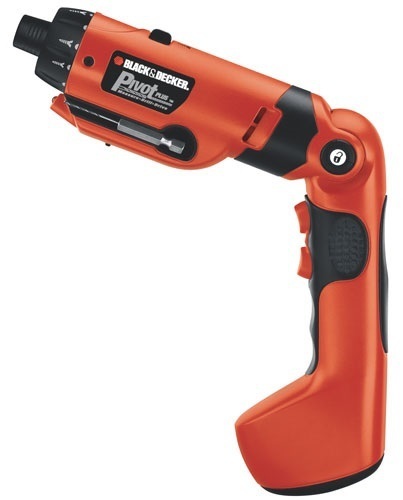 Comfortable rubber grip handle makes it easy to hold. Has forward and reverse operation and a low-battery indicator. Comes with charger and four bits. 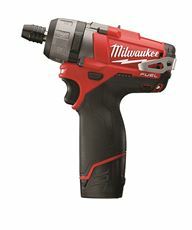 Voltage: 4.8 V; Torque: 40 in-lbs; Speed Range (RPM): 200; Power Type: Rechargeable Battery.